In 1981, rockers AC/DC declared that "Rock and Roll Ain't Noise Pollution" in one of their many kickass guitar jams. Though we're hardly qualified to challenge their claims, a scientist has concluded that the Aussie rocking crew were wrong. According to the Starkville Daily News [via Metal Injection], an assistant professor at the MSU Department of Biology named Brendan Barton opted to test out the band's claim, playing rock music to a group of Asian lady beetles. Barton subjected the ladybugs to a playlist of AC/DC, Lynyrd Skynyrd, Metallica, Guns N' Roses, Willie Nelson, Waylon Jennings and Warble Fly. After the playlist was through, the bugs subjected to the music ate less aphids. "We immediately discovered that after about a day or a half day, 15 hours or so, the ones who had been exposed to the hard rock music, AC/DC, or even the city sounds, those loud kind of harsh sounds really reduced the number of aphids they consumed by a lot," Barton said. "In the one with the AC/DC blasting, the predators didn't control the aphids, and I think we ended up with something like 180 aphids per plant on average," he continued. "That many aphids on one plant is enough to actually hurt the plant, so we saw a reduction in the plant biomass. 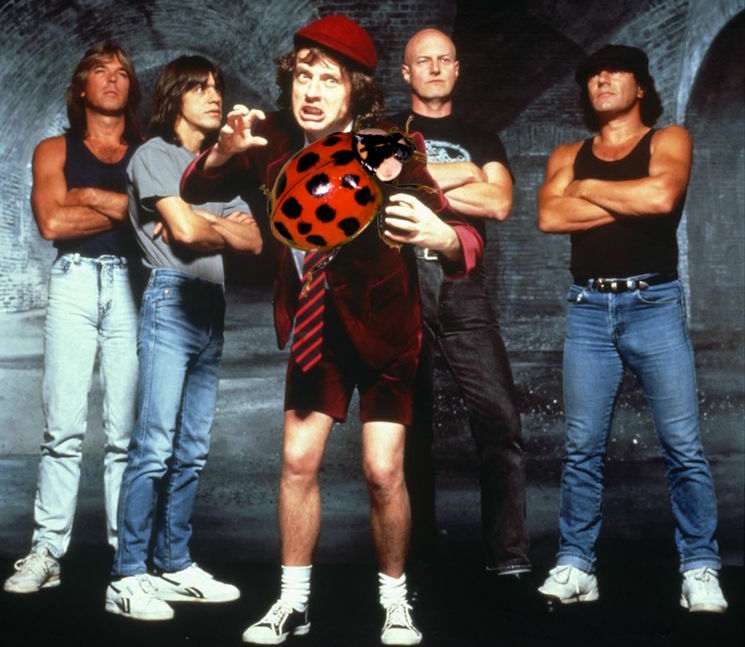 The AC/DC indirectly reduced soybean production." While the study is far from conclusive, it makes us question everything we once held true from AC/DC. Does this also mean they're not actually thunderstruck? That there's no real highway to hell? That one can not truly shake someone all night long? We've been lied to.